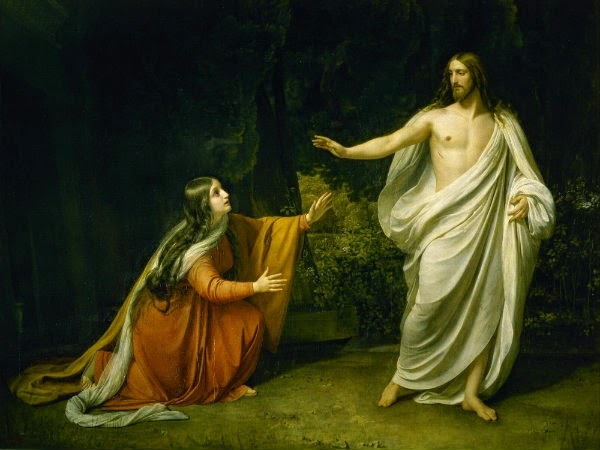 Did Jesus Christ marry Mary Magdalene and have children with her? Surely, you’re thinking, that’s the kind of sensationalist mumbo-jumbo you find only in the pages of fiction. In fact, The Da Vinci Code, Dan Brown’s 2003 best-selling thriller, was hinged on that very premise: a secret bloodline had sprung from the union between Jesus and Mary. But now the authors of a new book, The Lost Gospel, claim to have unearthed evidence of a manuscript which tells the story of Jesus’s two sons and his marriage to Mary, one of his closest followers, who was at his crucifixion, burial and the discovery of his empty tomb. Indeed, they have frequently been explored in popular culture. For example, in the Fifties, the book The Last Temptation Of Christ suggested that the pair married after Jesus was taken down from the cross. Martin Scorsese turned the idea into a film of the same name in 1988. However, this new book focuses on a story to be found in a manuscript dating back to 570 AD and written in Syriac — a Middle Eastern literary language used between the 4th and 8th centuries and related to Aramaic, the language spoken by Jesus. Written on vellum — treated animal skin — it had been in the archives of the British Library for about 20 years, where it was put after the British Museum had originally bought it in 1847 from a dealer who said he had obtained it from the ancient St Macarius Monastery in Egypt. For the past 160 years, the document has been studied by a few scholars but has been considered pretty unremarkable. But then Simcha Jacobovici, an Israeli-Canadian film-maker, and Barrie Wilson, a professor of religious studies in Toronto, took a look. After six years of study, they are convinced they’ve uncovered a missing fifth gospel — to add to the four gospels, which tell the story of the life of Christ and are said to have been written by the evangelists Matthew, Mark, Luke and John, in the 1st century AD. If true, this would make it the greatest revelation into the life of Jesus in nearly 2,000 years. Jacobovici claims the manuscript, which is 29 chapters long, is a 6th century copy of another 1st-century gospel and casts parts of the Bible in a very different light. Later this week, he will present his findings at a conference hosted by the British Library. Like the fictional The Da Vinci Code, which had its hero scouring works of art for secret, religious messages, the document is in code. According to Jacobovici and Wilson, it tells of Jesus’s marriage through the story of the Old Testament character Joseph and his wife Aseneth. Jacobovici decided to look more deeply into Joseph and Aseneth, when he compared their story with other Old Testament tales. In order to test the British Library documents, the researchers used hi-tech digital imaging to photograph them 13 times. They then got the manuscript translated for the first time from Syriac into English. There have been other, later, versions of the Joseph and Aseneth story, written in Latin and Greek, which have been preserved in monasteries. But by returning to the ancient Syriac, Wilson and Jacobovici say it was possible to read the text as it was intended and to decode the hidden story. Central to their claim is that Joseph was actually Jesus — and that Aseneth was actually Mary Magdalene. And so, could centuries of Christian teaching be wrong and that Jesus was a husband and father? There are many, many more pieces of the jigsaw to be put together before this can be proved conclusively. The theory is based on the claims that this ‘lost’ gospel and the ‘encrypted’ story of Jesus’s marriage was the work of a group of persecuted Christians. It apparently disappeared from public view around 325 AD. It was at the time that the then Roman emperor Constantine — the first Christian emperor — was said to have ordered all other gospels to be destroyed, leaving only Matthew, Mark, Luke and John to tell Jesus’s story because their version fitted with Constantine’s view of Christianity. But the British Library manuscript, he says, ‘is a full-blown gospel’. He and his colleague Wilson point to several clues that they say give away its true meaning. Principally, the story about Joseph has little connection with other Old Testament stories about a man who is best-known for the tale of his murderous brothers, which inspired the popular musical Joseph And The Amazing Technicolor Dreamcoat. What’s more, Joseph is often seen in early Syriac Christianity as a symbol of Jesus. The manuscript calls Joseph — like Jesus — the son of God. The parallels with Christian Holy Communion, according to Jacobovici, means that this is a ‘Christian text’. The document is also preceded by a covering letter, written in the 6th century by the man who translated the document from its original Greek into Syriac. It says the document has an ‘inner meaning’ about ‘our Lord, our God, the Word’. But just at the point when it seems as if the text’s hidden inner meaning is about to be disclosed, there is a big tear in the manuscript — suggesting someone deliberately censored the revelation that was to follow. While some academics agree that it is possible that others gospels — recounting Jesus’s marriage — may have existed but since been lost, others are adamant that the idea is a complete nonsense. History is littered with such debates. In 1213, for example, a chronicle recorded that the inhabitants of Béziers, in southern France, had been burned alive four years earlier for ‘their scandalous assertion that Mary Magdalene and Christ were lovers’. A different story — that Mary was a prostitute — was proposed by scholars who merged her identity with the unnamed sinner who anoints Jesus’s feet in Luke’s gospel. However, this interpretation has almost universally been discounted. Jacobovici believes that his ‘lost gospel’ supports Professor King’s studies. He is also convinced the story of Jesus’s marriage is already incorporated into four gospels in the New Testament. And therefore, he insists, there can be ‘no question’ that, even in the established gospels, Jesus must have a wife. Equally intriguingly, Jacobovici and Wilson claim there was a plot to kill Jesus by a love rival 13 years before the Crucifixion. They say that the manuscript says the Pharaoh’s son wanted to marry Aseneth and planned to kill Joseph and their children, but was foiled by Joseph’s brothers. Jacobovici identifies the man as Roman emperor Tiberius’s adopted son Germanicus, who was in Galilee when Jesus was there. This rewriting of the greatest story ever told has, understandably, led the publisher to compare the book by Jacobovici and Wilson to the discovery of the Dead Sea Scrolls, the ancient Biblical papyri found in caves in the West Bank which contain passages from the Old Testament. ‘If you look at the cumulative evidence for Jesus’s marriage, it’s getting overwhelming,’ says Jacobovici. ‘This new discovery is probably the most important piece. Not surprisingly, the vast majority of Christian historians are not convinced. As for the British Library itself, staff have refused to endorse the new book. But they still have a huge amount of convincing to do — particularly to the Church of England which naturally scoffs at the claims, dismissing them as closer to popular fiction and sharing more with The Da Vinci Code than the historical records of Matthew, Mark, Luke or John. The Lost Gospel by Simcha Jacobovici and Barrie Wilson is published on Wednesday by Pegasus Books. To buy the book for £16.19 — 10 per cent off the usual price — plus free P&P, go to www.mailbookshop.co.uk Offer ends on November 25. The Lost Gospel will also be part of a documentary shown on the Science Channel in December.